On January 8, 2011 a gunman opened fire outside a grocery store in Arizona. Six people were killed and 20 were injured. 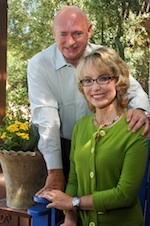 Among those injured was U.S. Congresswoman Gabby Giffords, who was shot in the head. Experts weren’t sure how – or if – Giffords would recover. After countless surgeries, endless therapy and an unwavering demonstration of strength and courage, Giffords has recovered, and today she was joined by her husband, Mark Kelly, to deliver the Closing General Session keynote at SHRM 2013. Like Giffords, Kelly is himself an American hero. He is a retired astronaut and U.S. Navy Captain who flew combat missions during the Gulf War. He also flew the final mission of the Space Shuttle Endeavor in 2011. Kelly took the stage first. He started his speech with a story about his mother, who aspired to be a police officer in their hometown in New Jersey. At the time, however, there were no women allowed on the force. Yet his mother didn’t give up, and she trained for months to pass the physical fitness test, which was designed solely for men. Eventually, his mom not only passed, but she outperformed many of the men, too. “This was the first time in my life that I saw the power of having a goal, a plan, and working really hard,” Kelly said. Kelly also recounted his own pilot training, which, he admitted, did not go very well. In fact, his instructor recommended he pursue a different profession. Therein lies a lesson for HR professionals: “How good you are at the beginning of anything you try is not a good indicator of how good you can become,” Kelly said. Another lesson for HR professionals that Kelly experienced firsthand is that communication is critical. While on a mission during the Gulf War, Kelly made the decision to fly over Iranian airspace in order to avoid Iraqi anti-aircraft artillery. However, he didn’t tell mission command about his plan. A few minutes later, he heard that U.S. Navy forces were looking for a plane – believed to be an Iraqi aircraft – over Iranian airspace, and they were going to shoot it down. It was his plane. Kelly went on to describe the horrific experience of hearing about Giffords being shot, the endless surgeries and rehab sessions, and the inspiration that his wife has delivered to millions of Americans. He also said that his wife’s strength and perseverance had taught him one of the most important lessons of all: “to deny the acceptance of failure.” And with that, Kelly introduced his wife, which brought the SHRM crowd to its feet and inspired the event’s loudest applause and longest standing ovation – by far. Our first workshop of the day was hosted by Andrea Howe, President, BossaNova Consulting Group and Gary Jones, SPHR, Chief Human Resources Officer, Grizzard Communications. The presentation was titled Trust and Influence: Making the C-Suite your Sweet Spot, and Howe and Jones explored proven ways HR professionals can get noticed and heard by executives. Credibility: Be an expert In HR and speak with authority (when you actually are one). Provide evidence of an informed opinion. Always be honest and truthful. Reliability: Make sure what you do matches up with what you say you will do. If you can’t meet your commitments, be up front about it and keep your CEO informed. 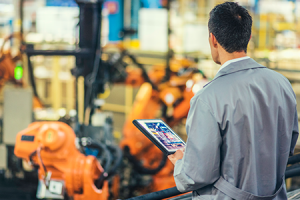 Deliver on the “little things,” such as benefits administration, staffing and other day-to-day tasks, to prove your reliability and to pave the way to more strategic initiatives. Intimacy: Intimacy is a product of discretion, empathy and the willingness to take risks (to be the one who is willing to do or say things that others won’t). Attunement: You need to be able to share your CEO’s perspective and see things from his or her point of view. The mindset of the CEO is unique, one that has to confront a high degree of complexity, resource constraints, data overload, loneliness and an enormous amount of responsibility and reach. For our final presentation of SHRM 2013, we attended How to Master the Inner Game of Self-Promotion and Internal Branding, hosted by Sherrin Ross Ingram, CEO, International Center for Strategic Planning. Ingram defined self-promotion and marketing as the science and art of communicating value, and she urged HR professionals to step outside of their comfort zones and embrace the opportunity to self promote. The three major myths of self-promotion. “Your career is your business,” Ingram said and, like businesses, HR professionals need to promote and market themselves in order to grow and advance. Amongst those that have yet to seize the opportunity to self-promote are the skeptics or the dis0believers. Like any, process and procedure, especially one of a narcissistic nature as this, there can always be a set of myths that linger behind. My work will speak for itself (and me). If you have aspirations of getting access to top opportunities, rewards and recognitions, you need to do more than just the work. The foundation of self-promotion is building relationships. The foundation of self-promotion is to manage perception of your abilities and the results you can deliver. Your perception gets you in the door and opens up possibilities. The goal of self-promotion is to attract opportunities. The goal of self-promotion is not to attract opportunities, it is to attract the right opportunities and repel bad opportunities (those that waste your time, pigeonhole your talents, and restrict your growth). Following, the myths Ingram goes on to give the audience a few components of being an effective self-promoter. From creating a brand that you can stick behind and becoming an influencer, his tips resonated with my fellow session attendees. Personal positioning: A succinct, provocative message about your expertise and the competitive advantage you offer influencers. Think of it as a story that you tell about your career. The goal of personal positioning is to have your name come up first when influencers think about your area of expertise. Effective ways to enhance your personal position include authoring books and seeking out public speaking engagements. Personal branding:An intricate combination of experiences, impressions and perceptions that synergistic-ally and subconsciously qualifies and quantifies your abilities and results in the minds of influencers. In a positive way, you become etched in the memories of those you are trying to reach. A strong brand is simple, memorable, clearly understood, distinctive and focused on your expertise. Branding tools include your results, awards, demeanor, style, affiliations and volunteer efforts. Publicity (internal and external): The art and science of getting trusted sources to tell influencers that you are an expert. You don’t want to be the one bragging about your expertise, you want others to be talking it. Develop a list of internal and external influencers and create a publicity plan to target them. Put your name and face in internal newsletters, learn how to master the press release, and comment on newsworthy items in company and public forums. Leveraged networking: Having a consistently implemented system for courting and converting contacts into power relationships allowing you to build social capital, cultivate referrals, and give influencers the chance to get to know you. Leveraged networking also opens doors that you may have not even thought of. To make power relationships: show appreciation, enthusiasm and persistence; be at the right place at the right time, not everywhere at once; and rehearse your elevator speech. Staying top of mind: When you come first in the influencers’ minds for your expertise and the work you produce. To stay top of mind, stay in touch regularly. Be relevant, informative and helpful – don’t be an overbearing annoyance. A mindset that supports your efforts: Truly effective self-promotion is a mindset and a lifecycle. Have complete clarity about your purpose, goals and strategies. Create a personal marketing plan and implement it every day. Any process flow takes a while to get used to. Stick to it and in no-time, YOU might be the next influencer we are blogging about. We’ll see you in Orlando for SHRM 2014!